November 13th–19th is celebrated annually as Geography Awareness Week. Also known as OSMGeoWeek, it aims to foster awareness in geography, spatial data and its usage especially in humanitarian response, disaster preparedness, innovation and economic development. OSMGeoWeek calls on community groups, teachers, students, governments, private sector, map lovers, and motivated individuals around the world to learn further about crowdsourced mapping and oftentime designate one area, usually an area currently in crisis or prone to disaster, for a mapathon. Mapathon, or mapping party, is an activity where a group of people sit together and map buildings, road networks and waterways by digitizing—tracing, interpreting and marking digitally—from aerial imagery. This year, over 130 events are organized around the world by institutions partnering with Humanitarian OpenStreetMap Organization (HOT), including Missing Maps, the U.S. State Department (MapGive), USAID (YouthMappers), the Peace Corps, National Geographic, and the World Bank’s GFDRR. It presents a great opportunity for community members to come together and learn to map to reduce disaster risks and to address public crises. 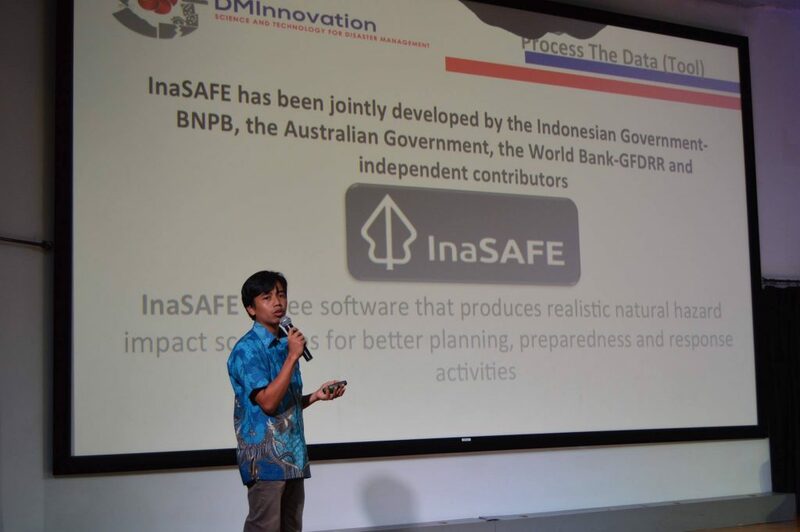 This year, three events are simultaneously organized in Indonesia to further spatial data awareness in Indonesia. These events took place in Bali, Manado and Jakarta. The event in Bali was held on Tuesday, November 15. Through MissingMaps project, Green School students learned how to map and capture in OpenStreetMap the location and extent of deforestation in Sumatera and Kalimantan. The mapping event was developed to support the newly launched Map for Environment platform, funded by the World Resource Institute (WRI). In the same day, students from the Department of Geography, Manado State University (UNIMA) initiated a two-day workshop and mapathon lasting until November 16. The students managed to map over 50,500 edits to Tondano, the city where their school is located. Students also work together with teachers and local government agency for disaster management (BPBD) and plan to develop OpenStreetMap community as part of their extracurricular activities, involving teaching high school students to be more aware of the importance of digital, open-source mapping. 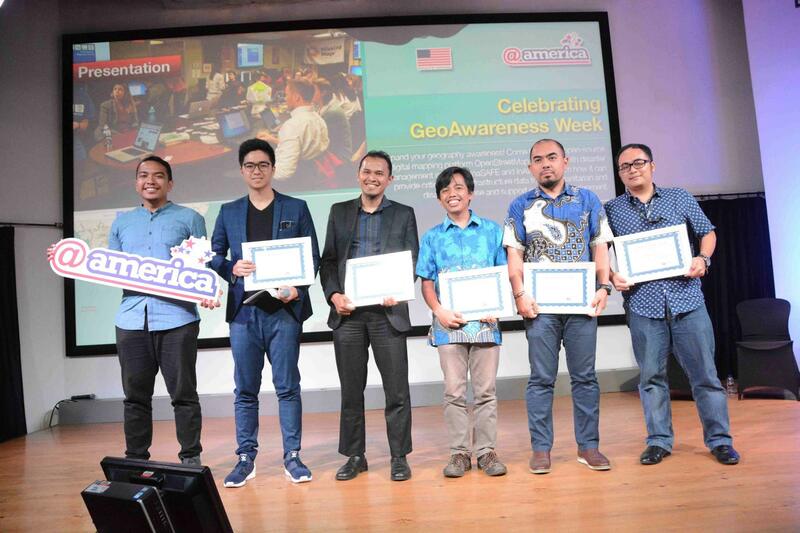 Two days later In Jakarta, together with @atamerica, HOT Indonesia organized a talkshow to educate, inspire and increase Indonesian public in their awareness and participation on the use of open-source and open spatial data for development. Hosted by Kevin Hendrawan, a TV Presenter, a Youth4Arctic Ambassador and a Youtuber, the event invited speakers from various organizations whose work are centralized in using big, open data for development. This includes Yantisa Akhadi from HOT Indonesia, Tirza Reinata from Tusk Advisory, Adi Kurniawan from Disaster Management Innovation (DMInnovation), Faizal Thamrin from UN-OCHA and Imaduddin Amin from UN Pulse Lab Jakarta. Also present to deliver the opening remarks, Adam Jung from USAID. Speakers emphasized how crucial it is for Indonesia to advance its spatial data availability as it will enable more researches and better informed decision making process in many areas, such as forestry, resource management, disaster preparedness and socioeconomic development. The event introduces tools whose base-map relies on exposure data accuracy on OpenStreetMap, such as InaSAFE, a free software that produces realistic natural hazard impact scenarios for better planning, preparedness and response activities, developed by DMInnovation under the Australian Government; and InAWARE, a program focuses on improving overall risk assessment, early-warning and disaster-management decision making in Indonesia, developed in a collaboration between USAID, Office of U.S. Foreign Disaster Assistance (OFDA), University of Hawaii: Pacific Disaster Centre (PDC), Humanitarian OpenStreetMap Team, the Massachusetts Institute of Tecnhonology (MIT): PetaBencana and Indonesia’s National Agency for Disaster Management (BNPB) and Regional Agency for Disaster Management (BPBD) DKI Jakarta and East Java. With the presence of crowd-sourced mapping, such as OpenStreetMap, public can have greater access to contribute in completing spatial data in places where it is needed, even in rural areas with little to no commercial attractiveness. OSMGeoWeek also served a mission as a networking avenue for different stakeholders to learn more on the best practices that enable public to contribute in enriching, developing, making use of and/or safeguarding data for development. This is crucial as mapping for development is not only about having the right tools and the ability to resolve technical issues, but also about strategizing and synchronizing coordination among different stakeholders. Recorded talks from this event can be retrieved from OpenStreetMap Indonesia Youtube Channel. A news coverage by Jakarta Globe can be retrieved here.